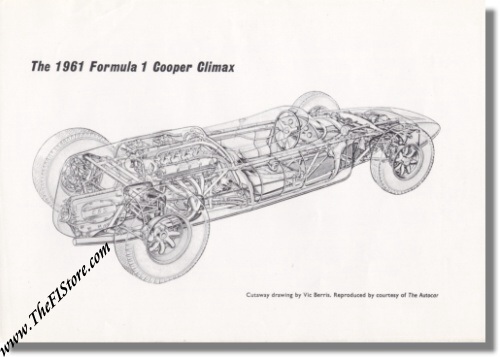 Vintage 1961 Cooper Climax F1 Brochure. 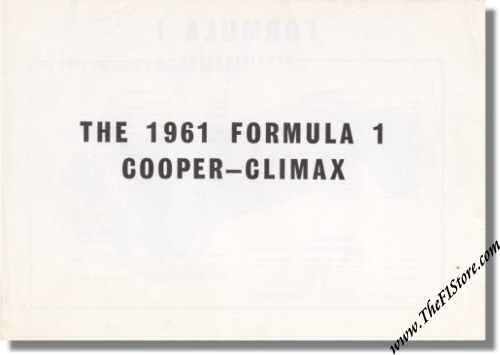 A simple, but interesting, B&W brochure for the Cooper Climax. 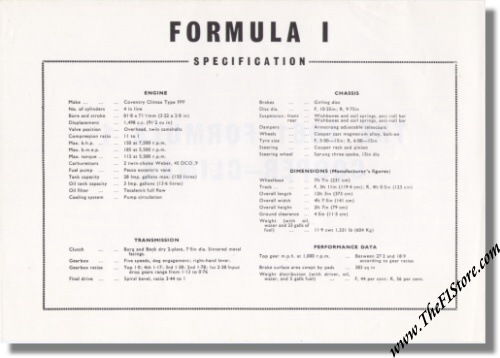 Measures apprimately 9 x 6.25 inches and opens up to 18 x 6.25 inches. Inside shows specifications and ghost view drawing.